Analogue is a relatively new smartphone app that lets you experience shooting a large format camera right on your phone. It is a Black and White only app, shoots amazing photos and lets you apply darkroom edits like dodge, burn, crop, blur to your photos. It also generates beautiful negatives for every photo you take. Analogue is the first app where you truly get the analog feel, both with the camera and by using a real darkroom. I am a huge alternative photography fan and a print fanatic. I love wet as well as contact prints - Cyanotypes, Van Dykes, Salts and have successfully and many times unsuccessfully wrestled with alternative printing techniques. Most of my contact prints are either from my 8x10 negatives and if shooting smaller formats, converted digital negatives that are printed on transparencies. For any serious work, however, I use specialized labs that do all the heavy lifting with the negatives, leaving me to concentrate on the printing. But I do print a lot of transparencies at home and am always looking for an easy way to do these. 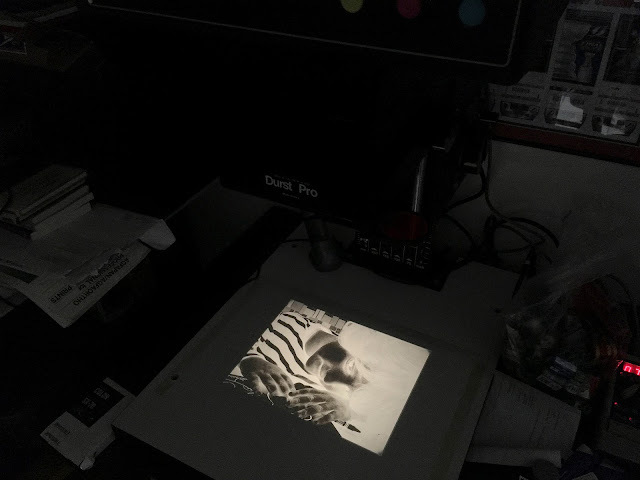 I was for a long time looking to print my digital/iPhone photos in my darkroom but was missing an app that really did a good job with the negatives. More importantly a professional app that let me work with the contrast of the photos and somehow export/print the underlying negatives to a printer and print transparencies. Fast forward a few months - ever since I got the Analogue app installed on my iPhone 6S as a beta tester, I had been dreaming of being able to print the digital negatives on transparencies - being able to load these in negative holders, darkroom enlarge and eventually wet print my photos. I reached out to Marcus Carlsson the creator of Analogue (@miiamapps on twitter) and we talked about use cases and scenarios. I will not steal his thunder about specific details of several new features he incorporated to make printing digital negatives from Analogue app a reality - but suffice to say it is stunning. Simple, yet I don't know of any successful attempt to get a usable negative from an iPhone app, let alone size for a particular format, do contrast changes and finally print a usable photo. To summarize, the exercise was a great success. I loved the quality of printed transparency, and the darkroom workflow. Here are some photos I took during this process to help you experience what I saw each step of the way. Not going into too much specifics, the new digital negative feature inside Analogue does let you select a photo inside Analogue, do edits, saves those edits back to the negative, allows you to resize based on what format you want to work with in the actual darkroom. I used for my tests a standard Staples Overhead Transparency Acetate. It has a paper strip that fools some printers into believing paper is being fed. You can peel it after printing. I used my HP Envy 5660 inkjet printer. You should be able to use any home office printer I would assume. 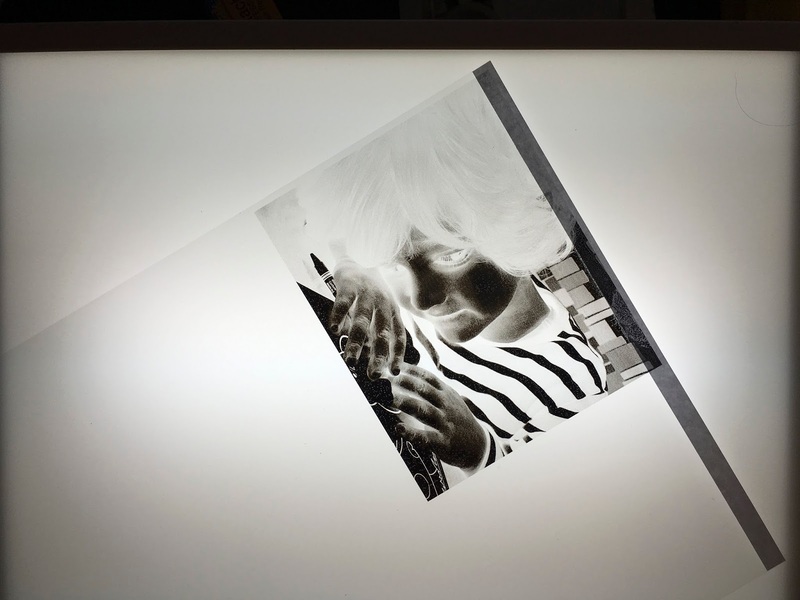 For transparencies just make sure you print on the rough/coarse side which is designed for absorbing the ink. As seen above, I experimented with the 4x5 size just to be able to handle it better and compare sizes. 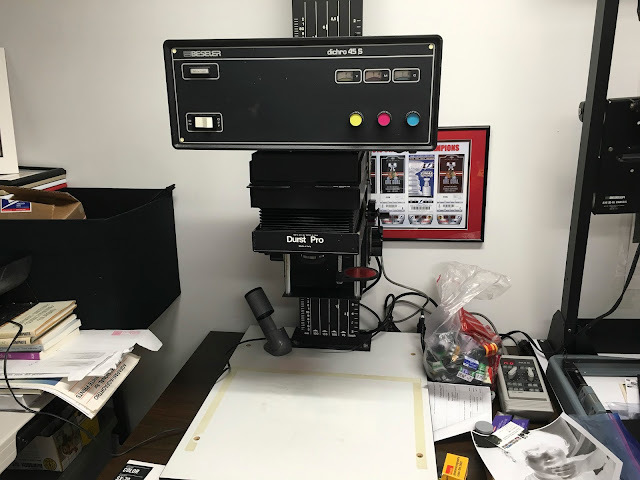 For this test I used my Durst Pro Enlarger as shown above. 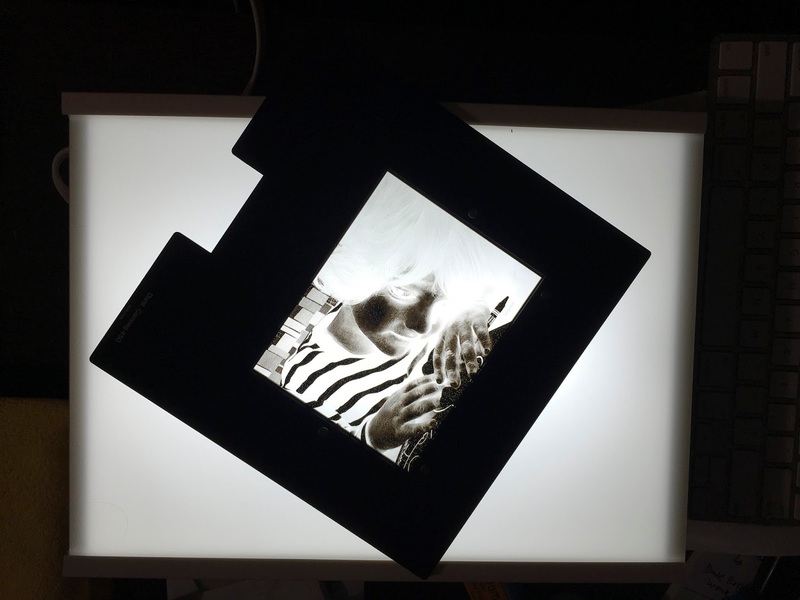 The following steps were exactly as you would imagine happen with a regular 4x5 film negative. 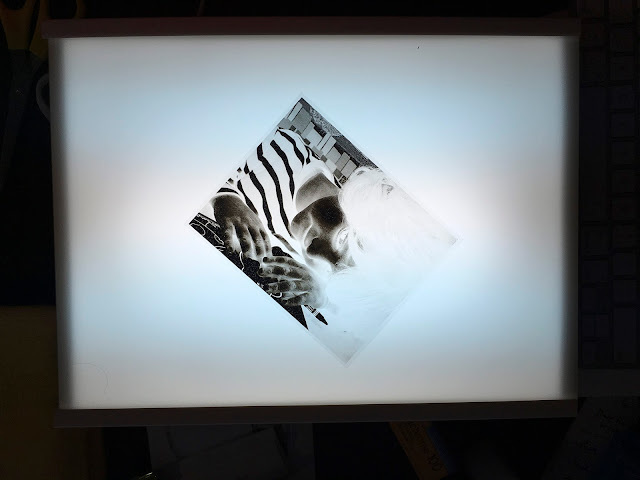 I slapped the holder on the enlarger, was able to project it onto an easel, did some quick focus checks a made sure I was all good to turn off the lights and print on photo paper. At this point I was certain the experiment was a success. I was able to take a photo shot on Analogue, do contrast edits, use the negative, print on a transparency and now enlarge and ready to wet print. Helpful post. Thanks. Recently tried home printed transparency digital negatives for the first time. Used my cardboard pinhole camera to shoot a 4x5 paper negative. Scanned that then divided the image in to nine 2 1/4" squares in Photoshop (no other manipulation). Printed those nine on one sheet of 8 1/2" square Inkpress transparency (on a low-end Epson, set at "plain paper", "photo", contrast -25). Then cut those in to strips and placed each negative in a 2 1/4" holder. Printed each on 8x10 Kentmere multigrade and trimmed them to 8x8. Used photo corners to mount each square to re-make the original image in a 32" square frame (with 2 1/4" outside borders, just for referential kicks). The "digital grain" was curious and I'll try it again in a series, increasing contrast and maybe "draft" print to get more of the oval grain shapes. Only inkjets will work? No toner cartridges? Jerry - The app just uses the underlying iOS to trigger a print. It does not mandate what printer/toner you use. I have not tried printing with other options. Will be something to experiment with. 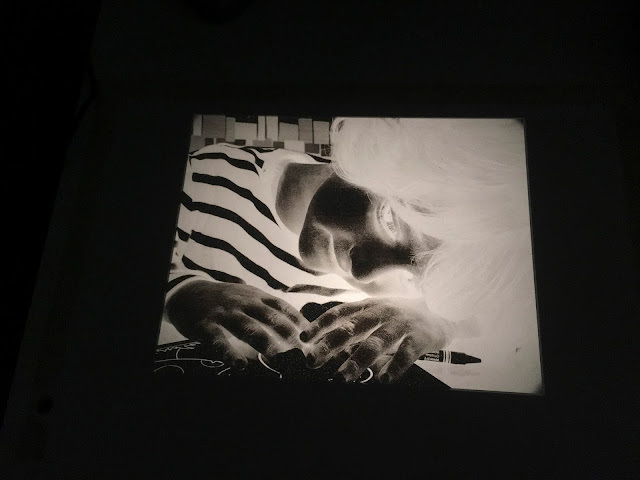 Have you tried using the phone itself in the place of the negative carrier, projecting the negative image onto photographic paper (as with the app Enfojer)?